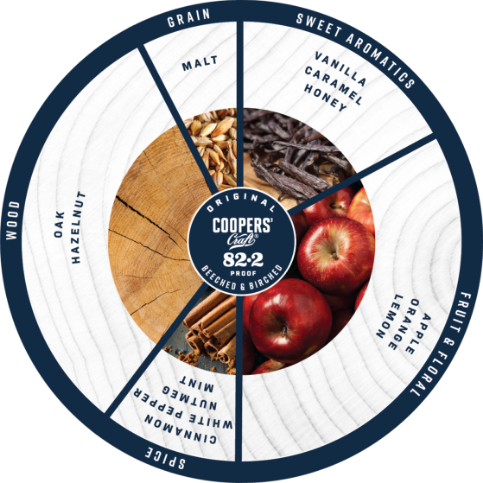 Coopers’ Craft Original is bottled at 82.2 proof for a gentle flavor profile that is well-balanced through the finish. Bourbon aficionados and newcomers alike will appreciate this remarkably smooth and inviting bourbon. 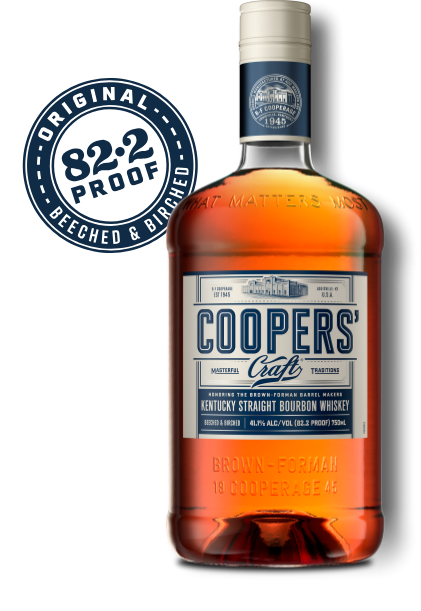 Original 82.2 is aged in a traditional American White Oak Barrel with a medium char. After it is aged, we run the bourbon through a Beech and Birch wood charcoal-filtering process to give it its extra-smooth taste profile. Light toasted and fresh oak character mingle with baked apple sweetness and a citrus custard. A true sipping bourbon with soft lemon custard and baked apple notes layered over a bed of toasted and fresh oak character seasoned with a light dusting of spice. Rich and smooth with lingering hints of fruit.